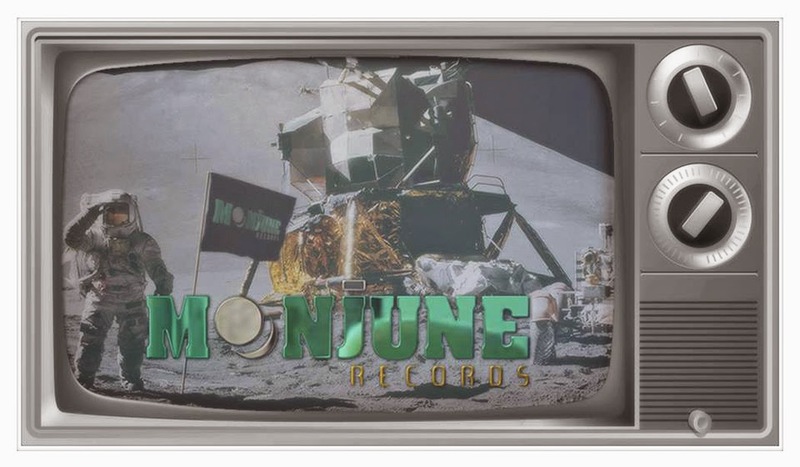 Rolling in the new year are a few new releases from independent music label Moonjune Records. The New York City based label gives us a glimpse into some of their international artists, beginning with the Indonesian band Simak Dialog. They recently released their seventh album (fourth through Moonjune Records) and it captures the band live at Orion in Baltimore back in 2013. The two-disc, nine song set is led by composer/pianist Riza Arshad and features the great guitar work of Tohpati. Of the nine songs, only one falls below the eleven minute mark as the band just jams on stage, showcasing their talents. The music has a Middle Eastern feel with the duel percussions on "Throwing Words." Tohpati's guitar takes flight on the progressive rock feel of "Stepping Inn" and in "For Once And Never," before closing the first disc with the Latin jazz appeal of "Lain Parantina." The second disc slowly builds through the space rock epic "This Spirit," before bringing back their Indonesian influence in "Disapih." The show closes with the progressive jazz of "5, 6," which features special guest Beledo on guitar as his just lets it fly on this energetic number. Next up is the latest self-titled release from the talented Indonesian guitarist Tesla Manaf. It feature two of Tesla's albums on one disc. The first half is the newly recorded "A Man's Relationship With His Fragile Area," which highlights Tesla's guitar skills, but also allows the bass rhythm of "Counting Miles & Smiles" and gentle horn work of "Early Years" to breathe on their own. The four piece band combines all the ingredients nicely on the playful "Chin Up," before lighting up the mood with "The Sweetest Horn." The second half of the disc features the six-part song "It's All Yours." Tesla performs alongside the Balinese ensemble Mahagotra Ganesha. The music has a more worldly appeal as Tesla seems to enjoy being in control of a larger group of musicians as he takes more of a backseat and allows the music to take on a life of its own. Finally we get the Moonjune Records debut album from Yagull entitled "Kai." The duo of Sasha Markovic and Kana Kamitsubo make beautiful music together, beginning with the gentle acoustics of "North" draped over a calming piano backdrop. Eight of the album's twelve songs are new originals, as Yagull put their special touch on a couple of songs from their prior album "Film" and also cover a couple of classic rock favorites. The first of the reworked "Film" songs is "Dark" as they turn it into a sweeping epic, featuring violinist Wen Chang. The other is the quick, two-minute Latin stomp of "Z-Parrow." They pay homage to Richie Blackmore with the acoustic intro of Deep Purple's "Burn" as they play around with the melody with Sasha's and Kana's instruments dancing around each other. Yagull also covers Free's "Wishing Well" as a tribute to the late Gary Moore. The album closes with their adventures into the progressive jazz/rock music of the six-minute "Omniprism" featuring the guitar work of Beledo and the joyous feel of "Oyasumi." To find out more about these new releases and other from these talented artists, please visit moonjune.com.